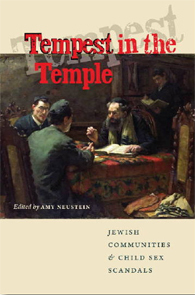 After The New York Times published its two-part series about child sexual abuse in ultra-Orthodox communities, long time observers of reporting on these issues questioned why the Times had not credited the previous significant work done by journalists in the Jewish and secular press, including the groundbreaking reporting of Schuster Institute Senior Fellow Hella Winston, who published her freelance stories in The New York Jewish Week. By not doing so, the Times' series begs the question of whether the Jewish press had been turning a blind eye to what Winston's reporting—and the Times' stories—describe as being a longstanding abuse of power by a Jewish sect. On the Village Voice's website, Nick Pinto details examples of the prior reporting that informed the Times' coverage, including four references to Winston's investigative stories. Other commentary on this issue: Failed Messiah and The New York Jewish Week. On May 19, The New York Times's Public Editor Arthur Brisbane asked the question: What did The Times have to lose by crediting others? 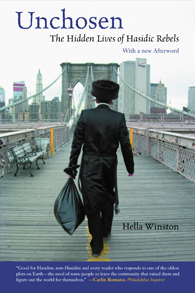 Investigative journalist and Schuster Institute Senior Fellow Hella Winston has been reporting on issues revolving around child sexual abuse in ultra-Orthodox Jewish communities for four years. Her investigative articles have been published in The New York Jewish Week. Awareness of these issues first arose when an anonymous blogger calling himself Unorthodox Jew began posting about it on his blog in 2005. A 2006 story in New York Magazine focused on an ultra-Orthodox teacher who is alleged to have sexually abused 40 boys over a four-year period. That story paved the way for Winston to begin her reporting. Since 2008 The Jewish Week has published numerous stories exploring many dimensions—cultural, legal and political—of the child sexual abuse problem in ultra-Orthodox communities. She has told not only the stories of abuse survivors but also of the attempts by rabbis and the communal leadership to keep these allegations from the secular authorities and out of the press. Winston has also chronicled the rise of grass-roots activism about these issues and documented the response to it by public officials, most notably the office of Brooklyn District Attorney Charles Hynes. Read about Hella Winston’s persistent efforts to bring this issue to public attention. Follow links to her ground-breaking reporting. Despite many roadblocks, including community members’ fears of speaking out and a lack of transparency from both the communal leadership and law enforcement authorities, Hella Winston, perhaps more than any other journalist, has reported relentlessly and extensively about this issue. She has focused primarily on institutions—both within and outside of these communities—that have played a role in protecting perpetrators and their enablers. These include religious tribunals, schools, community-based social service organizations, therapists, unsupervised volunteer neighborhood security patrols (funded, in part, by public monies) and local law enforcement. Winston has described a world in which victims typically refuse to report child abuse allegations to local law enforcement for fear of being stigmatized and branded as “informers” by religious leaders who have repeatedly declared that all allegations of abuse must first be reported to rabbis. As such, these communities have developed what some have described as a parallel, or private, justice system. Despite the many ways such a system violates the law, Winston has reported that some law enforcement agencies have tolerated this practice for political reasons. Indeed, Winston notes that her investigations into this parallel justice system have been hampered over the years by weak public accountability, particularly on the part of the Brooklyn district attorney’s office.